Products & Solutions - Aircraft Engineering & Installation Services Inc.
Our manufacturing facility produces a multitude of standard and custom aircraft avionics parts and components. We are ISO9001-AS9100 certified and follow professional guidelines throughout our entire manufacturing process. For more than 25 years, AEI has specialized in high quality manufacturing and fabrication services for Commercial aircraft parts and Military Systems retrofits. All part finishes meet MIL-C-5541 Specs. Recently placed an order with AEI? If so, we welcome your feedback. Complete our brief Customer Survey, which only takes a few minutes to complete. We look forward to hearing from you. AEI's full-line of ARINC standard mounting trays are designed in accordance with ARINC specifications. Complete avionics racks, including various configurations of tray assemblies, are specifically designed for use on numerous aircraft types. AEI's mounting tray features include aluminum alloy construction, chemical conversion coating finish, and connector size cutouts standard for MCU tray assembly requirements. ARINC Trays are available with or without a fan (115V or 28V). 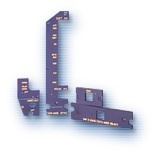 Standard ARINC Tray widths are 2MCU, 3MCU, 4MCU, 5MCU, 6MCU & 8 MCU. Standard ARINC Tray lengths are short, medium and long. Currently in use by a number of major air carriers, AEI's Audio Integration Units are an economical retrofit solution that allows multiple audio inputs to cockpit audio speaker systems. Developed exclusively by AEI, the AIU is a stand-alone unit designed for easy mounting anywhere inside the pressurized vessel and can accept up to three (3) inputs with one (1) output. It ties directly into the cockpit audio system, which allows audio through the existing speakers and flight crew headsets. All this without requiring expensive modifications to the audio system. PMA'd on a variety of commercial airframes worldwide. Developed by AEI, "happy boxes" can readily retrofit with newer avionics technologies in existing aircraft interfaces. 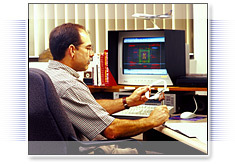 Certified on a number of commercial airframe types with airlines and corporate operators worldwide. Our Cockpit Electroluminescent (EL) Panels come in a variety of options to best suit your custom aircraft needs. The illuminated cockpit panels can be designed using 5 VAC or 28 VDC lighting. Customers can choose from an assortment of specific colors and fonts, depending on your aircraft requirements. Since 1993, AEI has fabricated and delivered thousands of aircraft wire harnesses for civilian and military aircraft as well as built-to-order for simulators. Complex, one-piece harnesses are our specialty. Each wire harness meets SAE AS50881 Aerospace Vehicle Wiring Standard. All connectors are Mil-Spec and fully pinned (including spare pins when space available) and each harness is DITMCO tested for isolation and continuity.